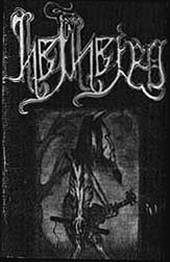 The story started in 1992 when V'gandr and H'grimnir had the mutual idea of creating extreme metal music. But metal cannot be made without someone to fill the drumchair, and soon after Hrymr came along to complete the band. 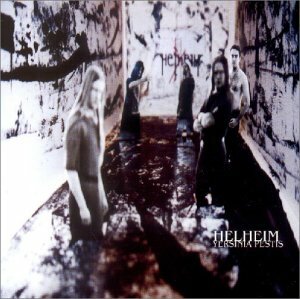 Already from the very beginning Helheim had high ambitions, and even without much experience they weren't afraid to enter the stage. They played several festivals in Bergen just to get live experience from the start. 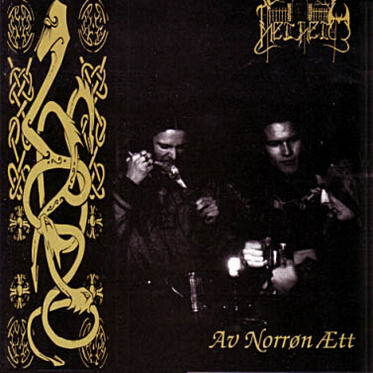 After the return from the tour Helheim immediately started working on new material for the epic follow up "Av Norrøn Ætt" (Of Norse Lineage) which turned out to be very different from the debut despite for the fact that both werel recorded in Grieghallen. 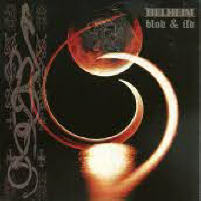 In 1999 Ars Metalli got in touch with Helheim for a one album contract. 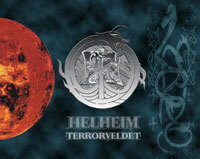 Even though the label were of a highly underground character Helheim still decided to give them a try. It was at this point Lindheim (synth) and Thorbjørn (lead guitar) joined forces with the band to strenghtening the circle. In search of a different sound they went to the fresh producer Odd Kronheim in S.J.E.F. 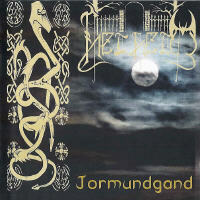 studio and recorded the MCD "Terrorveldet" (The realm of terror) and the full lenght "Blod & Ild" (Blood and Fire), which both harvested really good critics in the world press. 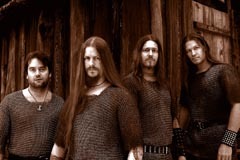 Helheim also took the brave move in recording a music video for the track "Jernskogen" (The Ironforest). Helheim; (the home of Hel) Hel is a godess the daughter of Loke and the jotungiantess Angerboda. She's also the sister of The Midgard Serpent and Fenris. She was condemned by the gods to rule below and to welcome all those who died of either sickness or old age. Helheim, or just Hel, consists of nine levels, but each level do not have their own names.